Two years ago, on a Saturday night in late June, I was walking back to my hotel in Beaune when it started. Once you’ve heard that sound, you will never forget it. It is the sound of hail, small pellets of ice that can wreak havoc on vineyards. Almost two years to the day later, on the afternoon of June 28, 2014, I heard it again. From where I was in Beaune, the two small storms didn't seem too bad. The hailstones were smallish, and the showers were both pretty brief relative to 2012. When I saw the vineyards in the days that followed it was another story. The damage in the worst cases was potentially as severe as in 2012, but what marks this storm from others was the vast swath of destruction that hit villages in the Côte de Beaune all the way up to the southern edge of Chambolle-Musigny in the Côte de Nuits. 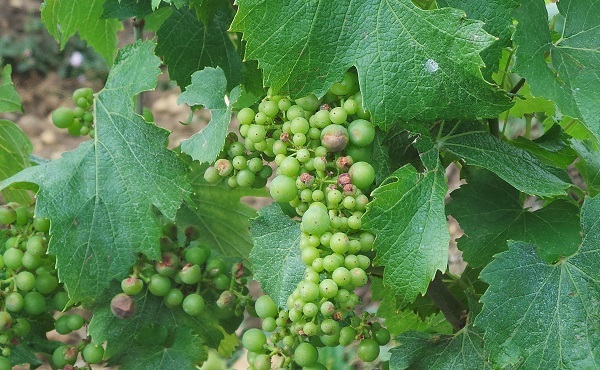 The worst damage was once again in Beaune, Pommard, Volnay and Meursault, where some sites were literally shredded by hail that was so violent it ripped leaves and clusters of grapes right off the vine. Meursault Les Poruzots, July 4, 2014, one of the most damaged vineyards in the Côte de Beaune. Note the clusters and leaves on the ground. The last time Burgundy had a normal harvest was 2009. Yields in both 2010 and 2011 were both down by 30-40% from long-term averages, which, absurdly, doesn’t seem so bad now. Hail was an issue in 2012, with some places hit in June, July and August. Nowhere were conditions more severe than in Volnay and Pommard, where production was down by as much as 90%. Yields were down again because of hail in 2013, a long cool year, but not as much as in 2012. The 2014 growing season had gotten off to a strong start. Conditions during flowering were nearly perfect. Excess heat in some places was a small issue, but for the most part a healthy and generous crop was forecast. Vignerons and winemakers were happy. The first week I was in Burgundy this summer, in late June, everything looked great. That all changed within just a few minutes. As it turned out, the Monday following the hailstorm, my appointments were mostly in the Côte the Beaune. It was the hardest day in my career as a professional wine critic. What could I possibly say? Nothing. I just listened. Beaune Boucherottes, July 3, 2014. The southern sector of Beaune was once again devastated by hail. Burgundy is now looking at another vintage with severely diminished yields. Most estates can handle one vintage with low production. Some can handle two. I don’t think there are too many wineries anywhere in the world that can absorb three consecutive vintages with punishingly low yields. I fear greatly for this community of hard-working families, many of whom are now facing economic challenges that are virtually unthinkable. The psychological effects of watching six months of toil and labor destroyed in the matter of a few minutes is just devastating for the families that work this land. At this point in the season, hail only impacts quantity. It is far too early to make any judgments at all about quality. By the same token, there are still two months left to go until harvest, which means there is also the risk that other storms might inflict further damage. 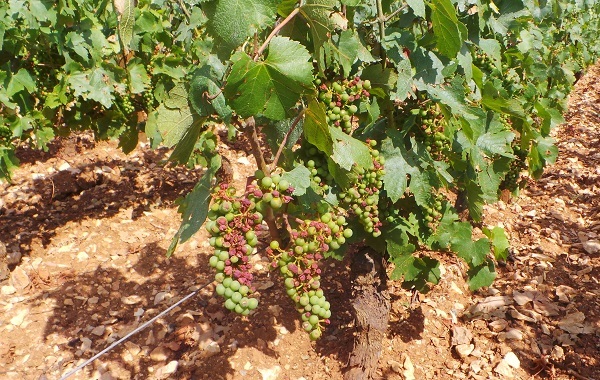 Burgundy was under a hail warning again on Saturday July 5, but thankfully heavy downpours seem to have been the worst of that storm system. Chassagne-Montrachet La Maltroie, Monday June 30, 2014. 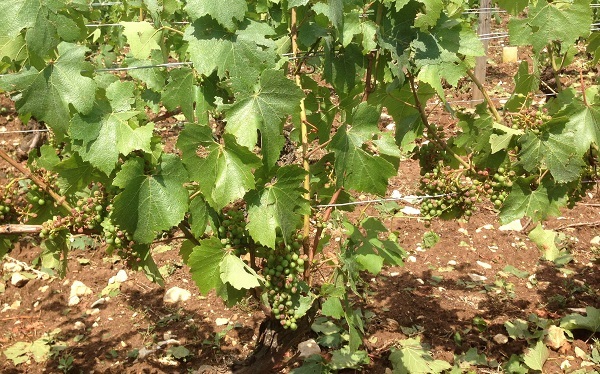 Hail in Chassagne was much less extreme than in other parts of the Côte de Beaune. 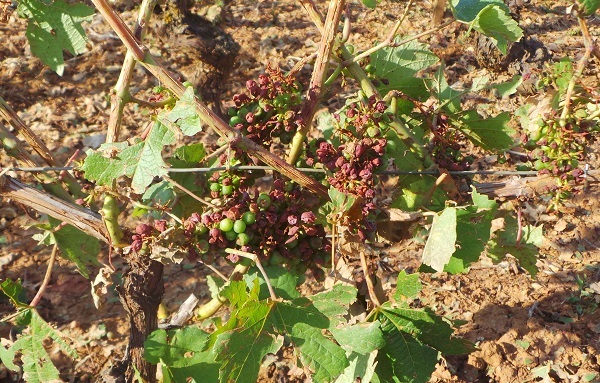 The damaged berries will eventually dry out and fall off the vine. 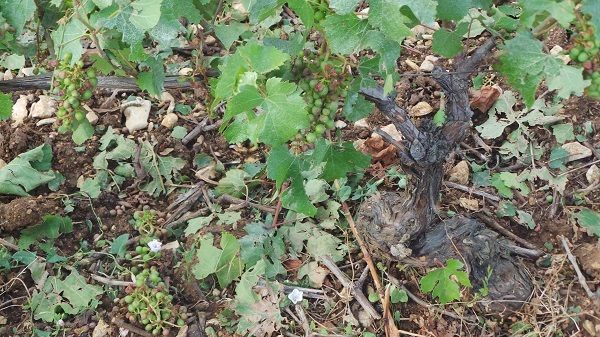 This is the story of the June 2014 hailstorm, as told by the vignerons themselves. Puligny-Montrachet Champ Canet, July 4, 2014. This parcel was hit heavily. Marquis d’Angerville, Volnay. 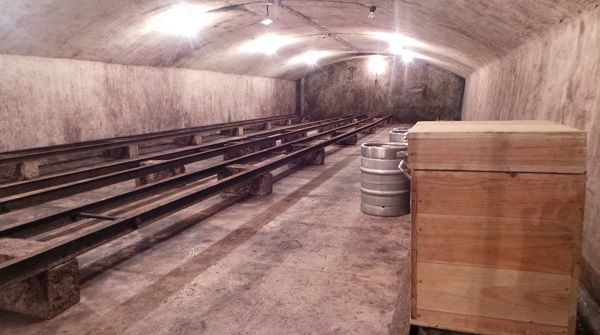 The 2012s should have filled this cellar. Sadly, production will be down sharply again in 2014. Dominique Lafon’s Clos de la Barre, June 30, 2014. Damage is at its worst in the center of the vineyard, away from the walls that provided some shelter. I am not sure what the solution or solutions are. Insurance is expensive and only reimburses owners for the cost of labor done in a vineyard damaged by hail, not for the value of the crop or the wines that would have been made. Hail nets, used in other regions for vineyards and fruit trees, are not allowed by regulations, but are probably worth taking a look at. Cloud seeding does not appear to be meaningfully helpful. What is clear is that the survival of many small families is under direct threat, and along with it, the viability of some of France’s most famous appellations.